We are located in the pedestrianised area of Loughborough’s Market Place. There are three main car parks suitable for use when visiting LTH. The closest is the Sital House car park, adjacent to the venue, where there are also a number of disabled parking bays. There is also The Beehive Lane multi-storey car park located on Woodgate (P1), or the Granby Street car park (P2). From M1 exit the motorway at J23. Follow the A512 into the centre of Loughborough at Sainsbury's traffic lights turn right onto Frederick Street/Browns Lane, go past the Leisure Centre on your right. At the traffic lights turn left then take the right hand lane along Woodgate. After 300 yards you will pass ‘The Print Room’ bar on your left. The Sital House car park is the next left. Please be aware that this car park does not belong to the Town Hall and you will be required to pay and display. The Beehive Lane multi-storey car park is also situated on Woodgate. This car park is pay on exit/pay on foot. round and the car park is on the left. This car park has a barrier, you can pay on exit. If using Sital House car park, please make sure you allow for enough parking time on your ticket, so that you don’t have to move the car during the interval. If using Sat Nav please enter LE11 2XB, this will direct you the car parks on Woodgate. 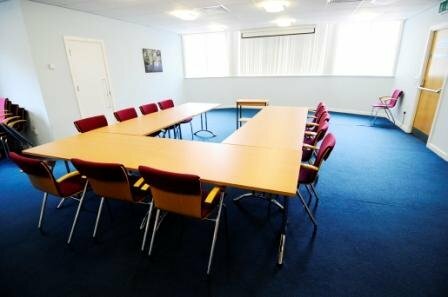 The venue is situated within a pedestrianised area within easy walking distance of several bus routes and Loughborough Train Station. Cyclists can use a number of well placed bike racks in the town centre. As part of Loughborough Town Hall's commitment to the Green Impact scheme, we want to make it easy as possible for audiences to visit us by public transport. Txt traveline to 84268 for a link to this service - for times of next departures from any stop sent to your mobile browser. Now in apps for iPhone, iPod Touch and Android. In addition to providing a full Box Office service for events and shows taking place at Loughborough Town Hall, our Box Office also provides a ticket selling service for events and shows at other local venues. Please note that there is no longer a Tourist Information Centre at Loughborough Town Hall. Customers (including babies) will not be permitted entry into the auditorium without a valid ticket. Theatre management reserves the right to refuse admission. Doors open 30 minutes prior to each event. Latecomers will not be admitted until a suitable point in the show. Adapted toilets on two floors. If you are attending a pantomime performance and would like the cast to wish a member of your party a happy birthday, please ask for the Duty Manager upon arrival. A special mention cannot be guaranteed, but the cast are usually happy to do this. 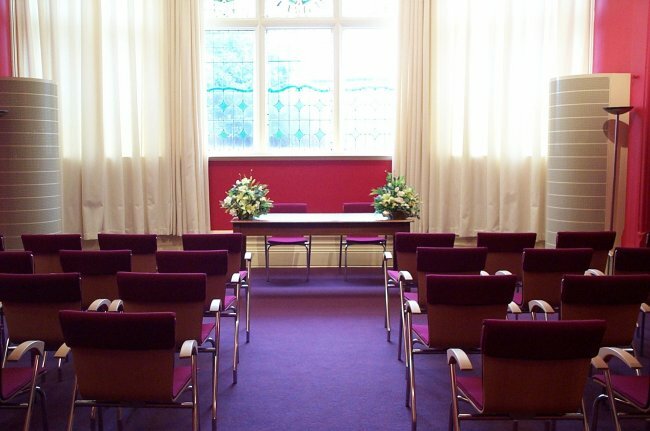 Don't forget we also offer venue hire for parties, weddings, conferences and meetings. 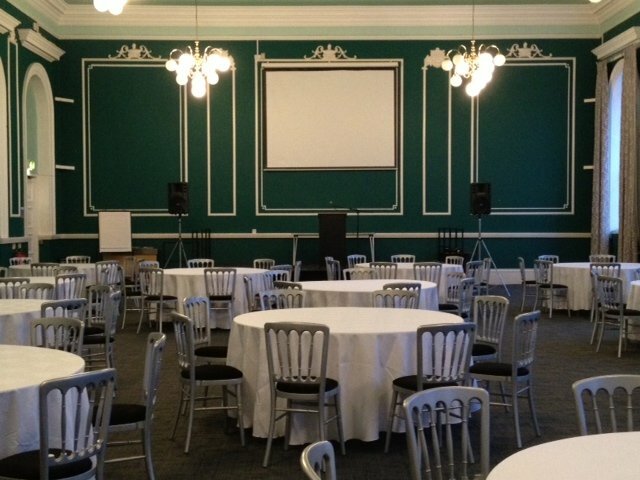 When looking for venue hire Leicestershire, Loughborough Town Hall offers the perfect central location with many rooms and facilities. We at the Town Hall are committed to customer service and making sure that we set standards that our customers can expect to be delivered. As part of this, we have created a Customer Charter to better inform you of the standard we set ourselves. Please click on the following link below to view our charter in full.